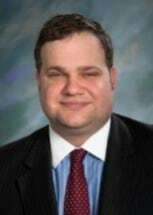 Andrew R. Bloch is a Certified Family Law Specialist (Family Law Certification Board), Registered Family Law Mediator, Trained Family Law Arbitrator, Trained Guardian Ad Litem, and Trained in Collaborative Family Law (CIACP). He received his B.S.B.A. in Information Systems from Xavier University and his J.D. from Robert McKinney School of Law, where he was also awarded the Norman Lefstein Award of Excellence. Since graduating from law school, Drew has been named by Super Lawyers as a “Rising Star” in the area of Family Law in 2010, 2011, 2012, 2013, 2014, 2015, 2016, 2017, and 2018, as published in Indianapolis Monthly. He is a member of the: Hamilton County Bar Association (serving on the Family Law Local Rules Committee); Indianapolis Bar Association (Family Law Executive Committee); Indiana State Bar Association (Family Law Executive Committee); and the American Bar Association (Chair of the Bankruptcy Committee- Family Law Section). He previously served as a member of the Muncie Bar Association (Executive Committee) and was a member of the Ratliff-Cox Inns of Court. Drew also serves on the Board of the Indiana Continuing Legal Education Forum (ICLEF). Drew is a sought after presenter for a number of bar associations and a featured speaker on a variety Family Law topics across the state of Indiana. As a Partner at Cross, Pennamped, Woolsey & Glazier, P.C., he devotes 100% of his practice to family law matters including mediation, arbitration, trial work, and appeals. Drew prides himself in taking cases all across the state of Indiana. Before joining Cross, Pennamped, Woolsey & Glazier, P.C. Drew served as a Commissioner in the Marion Circuit Court – Paternity Division, hearing custody, visitation, and child support cases. When needed he continues to serve as Judge Pro Tem in Hamilton, Delaware, and Marion County in a variety of family law, civil, and criminal matters. In addition to his service on the Board at ICLEF, Drew serves as the Indianapolis Alumni Chapter President for Xavier University and a member of the Lew Hirt Society. He also is Board Member at the Indianapolis Academy of Excellence, where he serves on the Governance Committee.